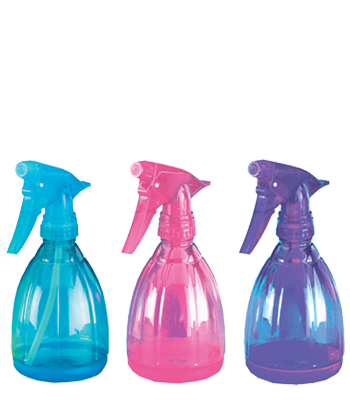 Assorted frosted pastel blue, pink, violet, and turquoise polypropylene bottles with coordinating translucent Model 300™ trigger sprayers. 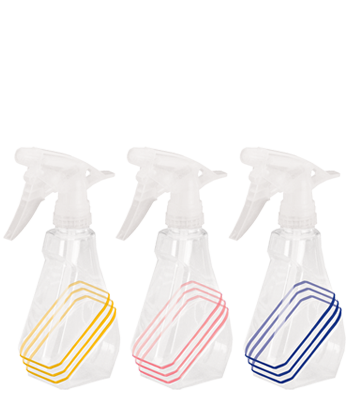 Assorted clear PET bottle with three blue, pink, or orange rings and translucent Model 300™ trigger sprayer. 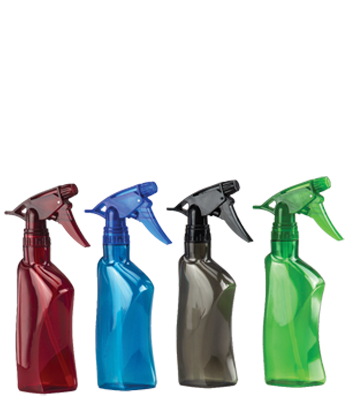 Assorted red, blue, black, and green PVC bottles with matching Model 300™ trigger sprayers. 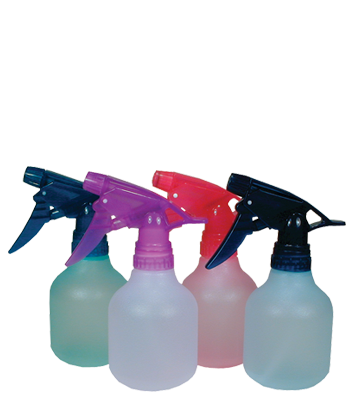 Assorted violet, pink, and blue PET bottles with matching Model 300™ trigger sprayers. 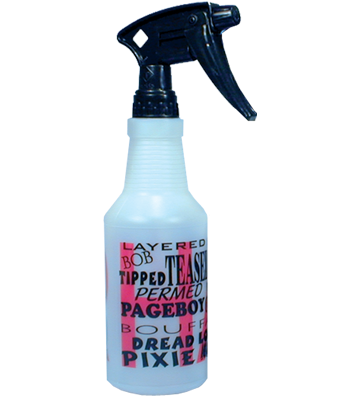 Natural HDPE bottle with magenta and black “graffiti” graphics and black Model 220™ trigger sprayer. 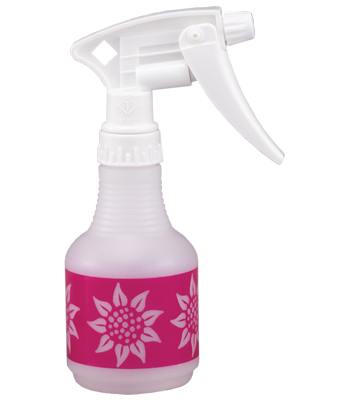 Natural HDPE bottle with magenta sun flower imprint and white Model 220™ trigger sprayer. 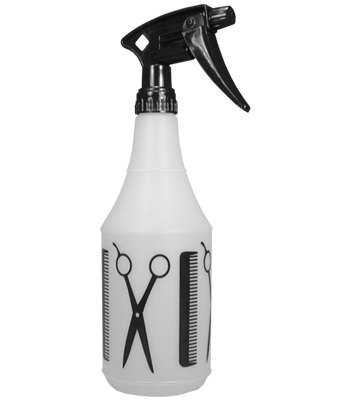 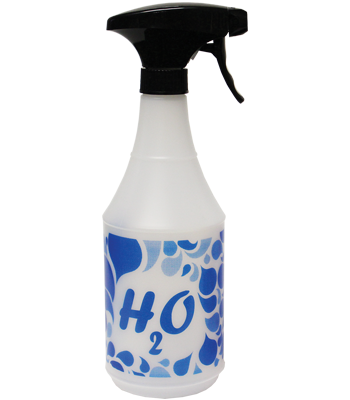 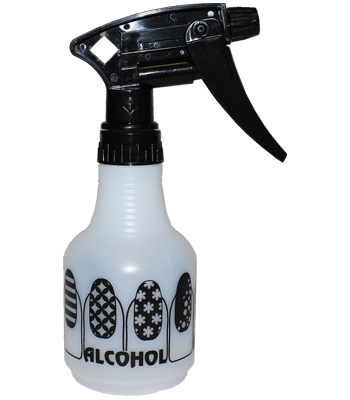 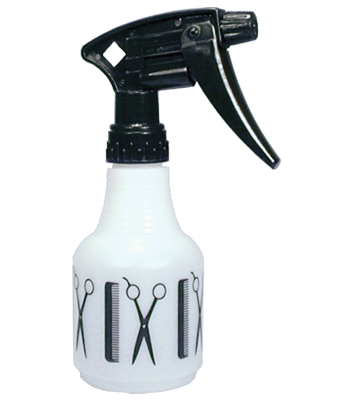 Natural HDPE bottle with the original trademarked black Shears and Comb graphic and black Model 220™ trigger sprayer. 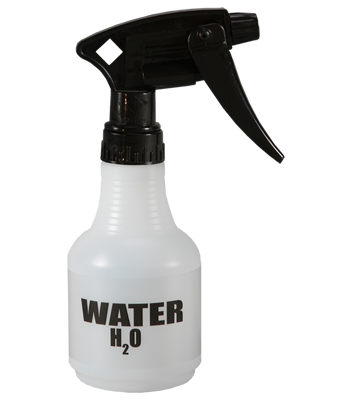 Natural HDPE bottle with black “Water H2O” graphic and black Model 220™ trigger sprayer. 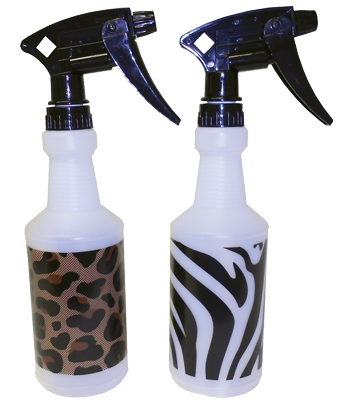 Natural HDPE bottle with black Zebra or brown & black Leopard graphic and black Model 220™ trigger sprayer.